The treatments that are desired must be decided before the pamper evening. Little Ladies is a pamper packeage I provide for children/teens aged 6-16 for their birthday, special occasion or even for just a girlie get together. Additional treatments from the list can be added for another £5 per treatment per little lady. A goodie bag can be added to the package for an additional £2.50 Per child. 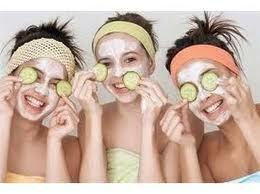 Non alcoholic bubbly along with magazines can be added for an additional £6 onto the final amount of the pamper party. - Should somebody not turn up of the evening of the party full payment must still be given or extra treatments may be added to total the full amount. - Parental concent must be given for each child under 16 prior to the pamper evening.